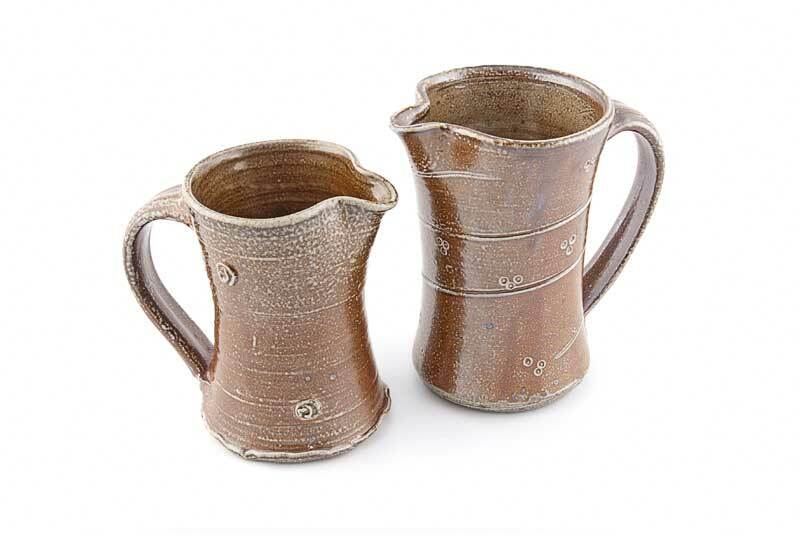 I work from my studio at home in the Meon Valley Hampshire making saltglazed stoneware, mainly domestic items for use with food. For more details please go to my website. 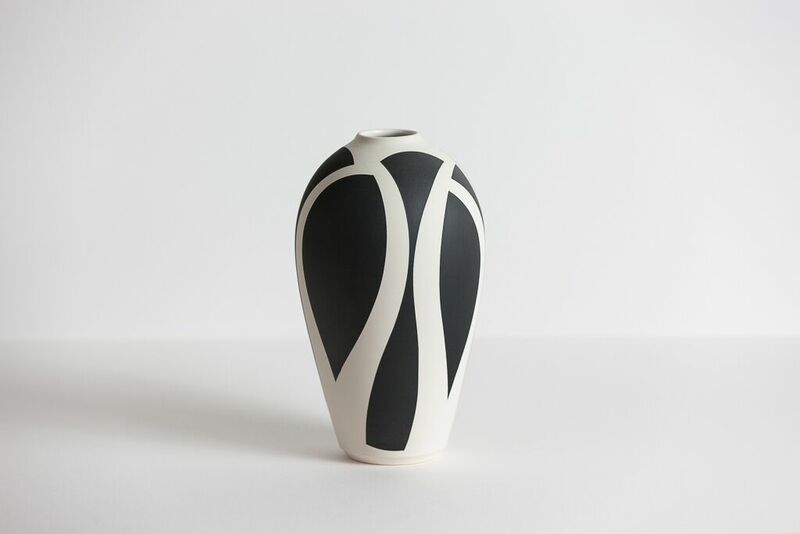 "My vessels explore abstract patterns drawn from nature’s curves and angles. In my pieces I strive to create a visual balance between form and decoration, either individually or in harmony together as a group. 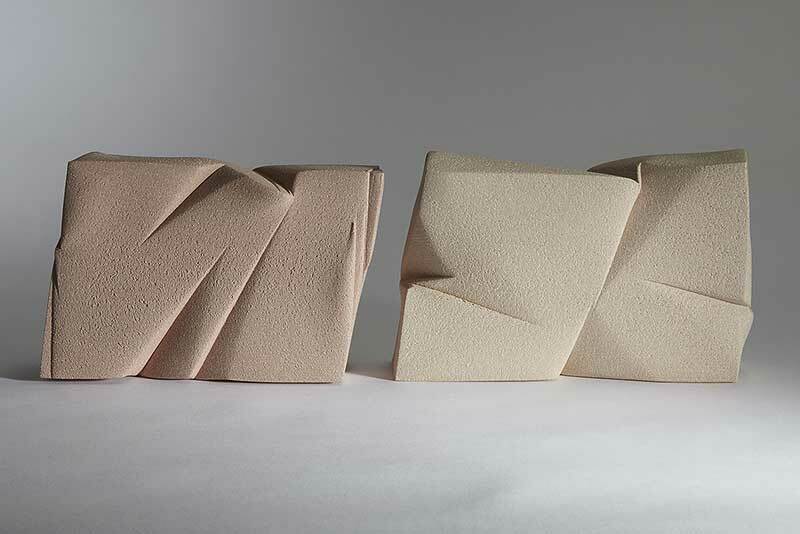 Each piece is sanded after firing to create a smooth tactile surface". 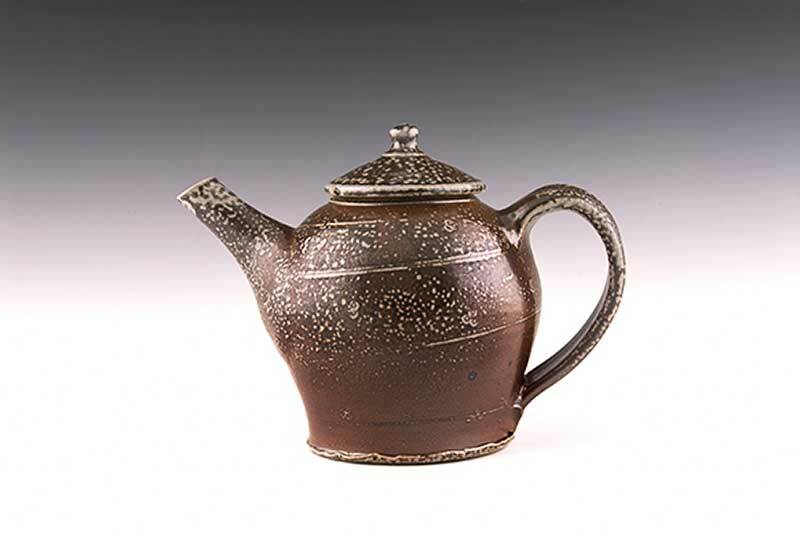 Georgie studied Workshop Ceramics at Harrow from 1993-96. She ran her studio at The Chocolate Factory in Stoke Newington for ten years before moving to Surrey where she now works from a studio in her garden. 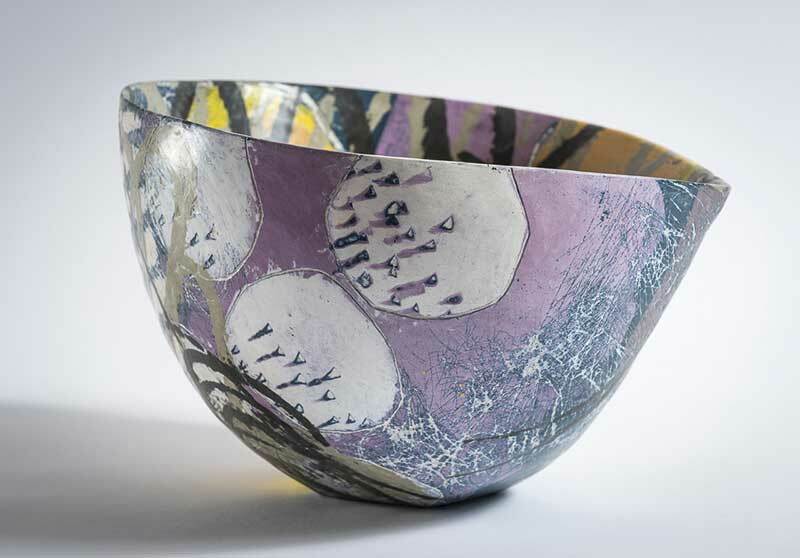 Margaret Gardiner works in porcelain making decorated and textured domestic ware and individual pieces. 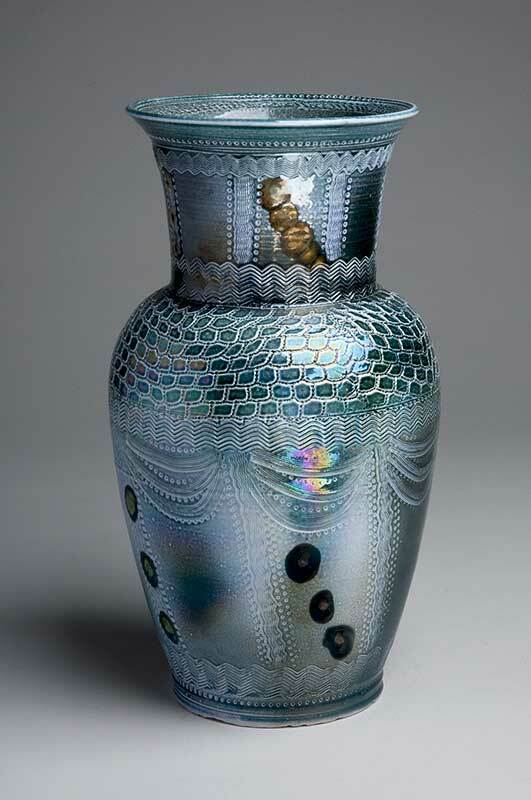 She uses 4 different techniques: throwing, slab-building, extruding and slip-casting then vapour-glazes with both salt and soda at 1300c, and fumes with stannous chloride to create random areas of lustrous iridescence. 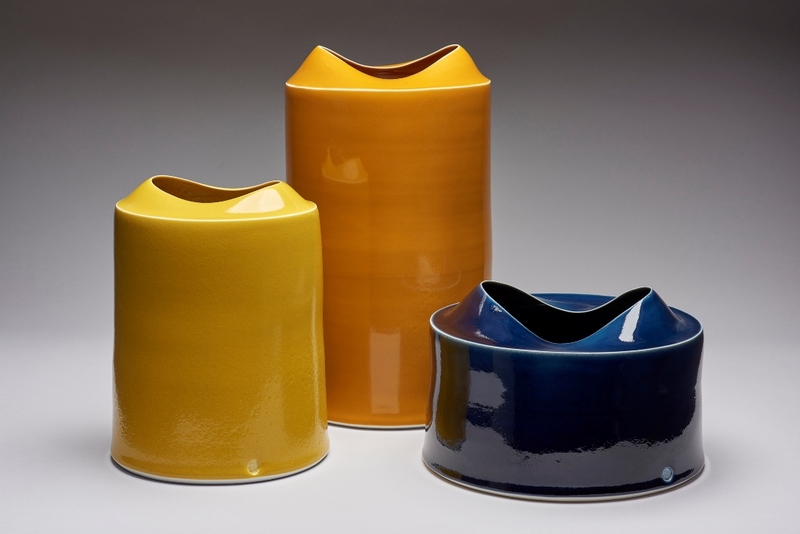 Coiled Vessels with vitreous slip or burnished terrasigillita. 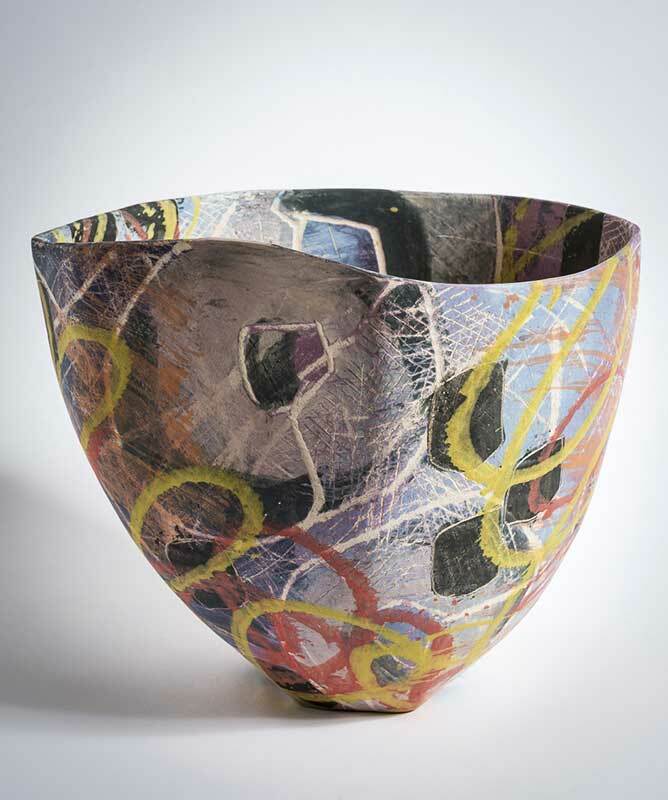 I have been throwing pots on the potter’s wheel since starting out on a career in ceramics in South Africa in the 1980’s. 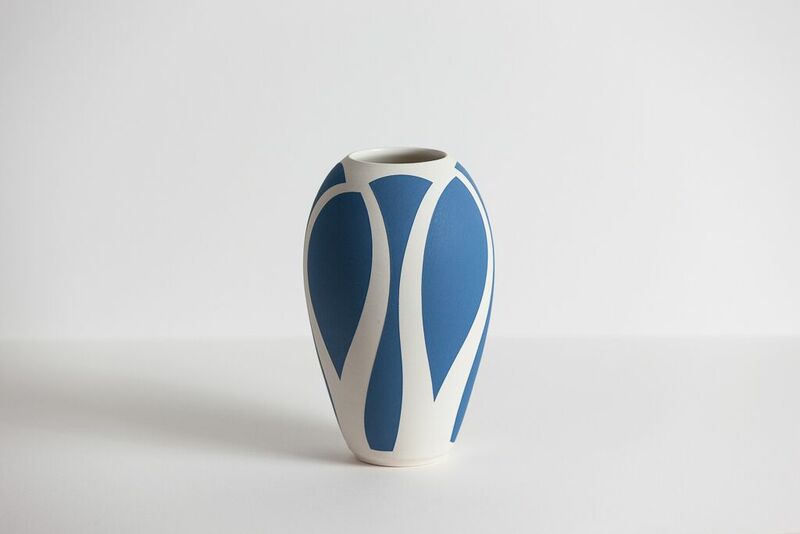 The simplicity or complexity of shapes that can be created on the potter’s wheel has constantly challenged me to explore and refine this technique further. My work consists of traditional classical shapes presented in a contemporary style. Surfaces are burnished and left for the fire to create colour and markings on the smooth receptive clay skin of the vessels. 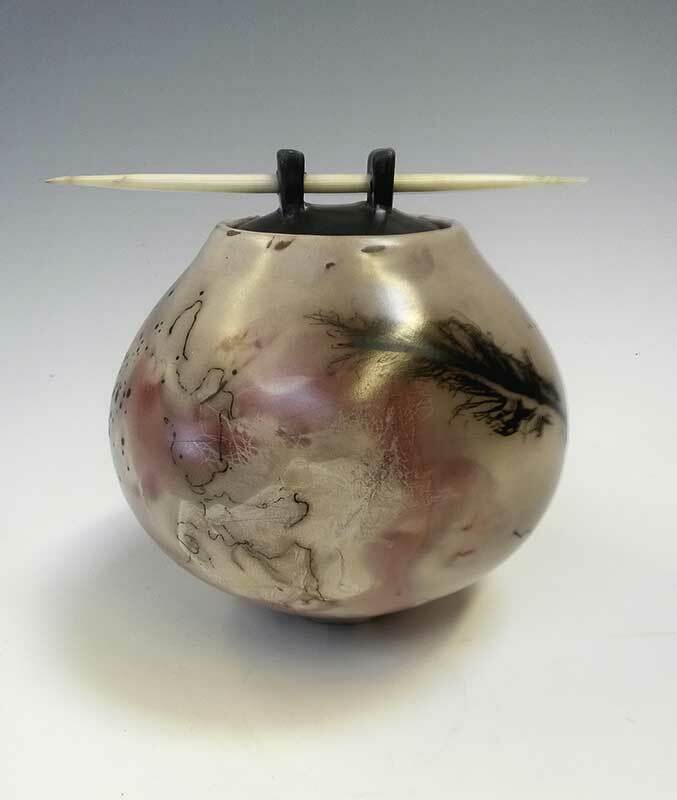 I use a variety of “naked raku” firing techniques for my work. 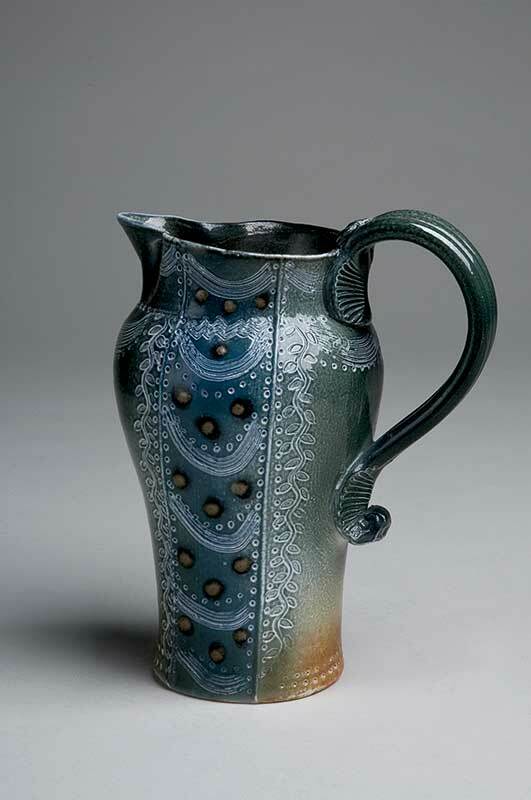 Saggarfirings with salt, copper and sawdust give subtle hues of colour to the burnished surfaces of the vessels. I also work with black and white horsehair and feather-carbonization and often combine different techniques through multiple firings. Recent work shows the results of experiments with ferric chloride and foil saggars. 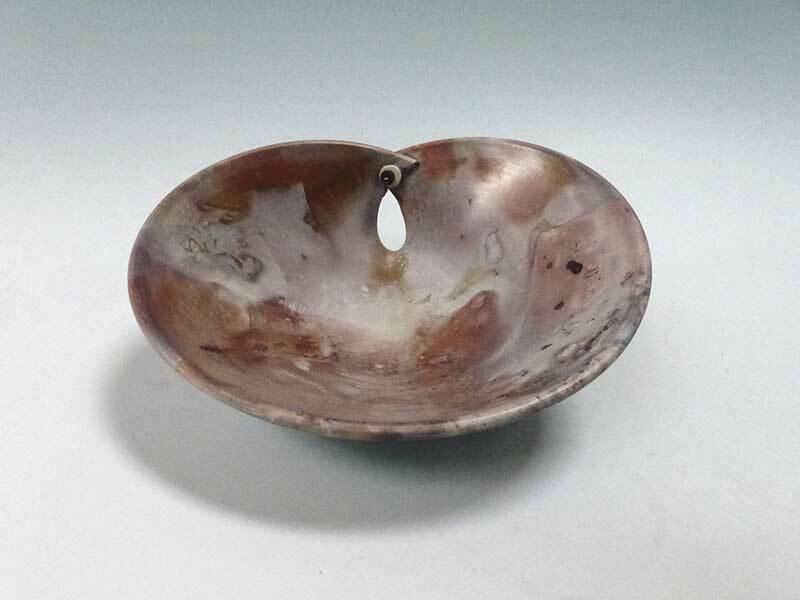 I bisque-fire my work in an electric kiln and use a gas-fired raku kiln for the saggar-firings. Inspiration comes from my love for classical concepts of beauty, continuous links to my African roots and the pure joy of clay as a medium of expression. 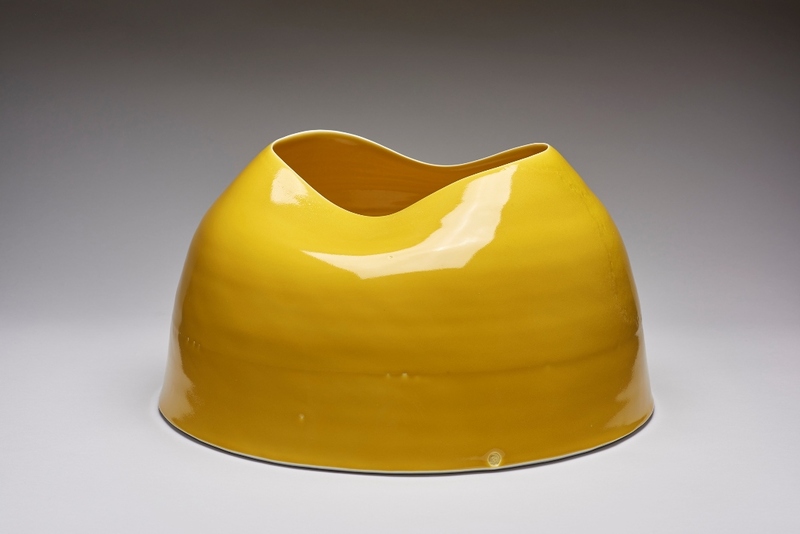 With an MA in Ceramics from the Royal College of Art, Tanya’s process is practice led. Developed from traditional methods and disciplines Tanya has honed her skills over the last 15 years and uses dynamic throwing, cutting and assembling techniques to create large cylindrical shapes. 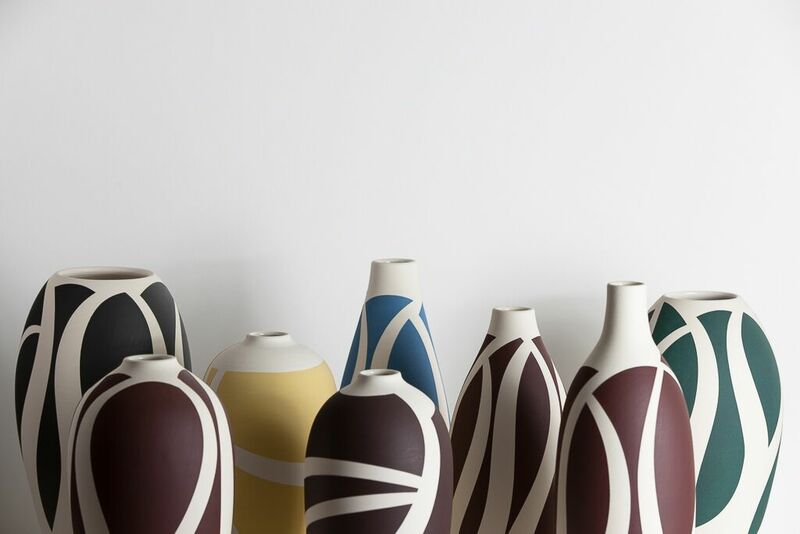 Impactful both individually and as a group, her vessels create expressive, vivid landscapes and fluid, architectural forms. 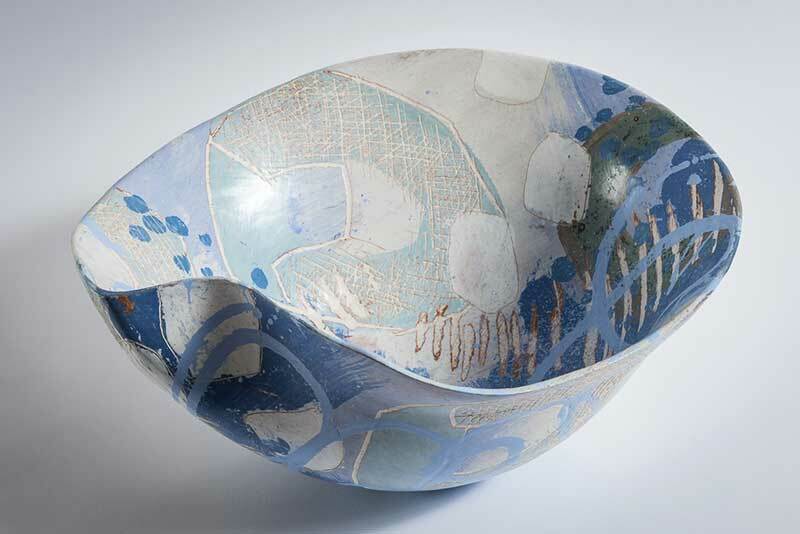 From years working on sailing yachts, travelling the world and coastal living, Tanya has absorbed the abstract qualities of colour and shape, particularly at sea and uses this to inspire her art forms and evocative glazes. 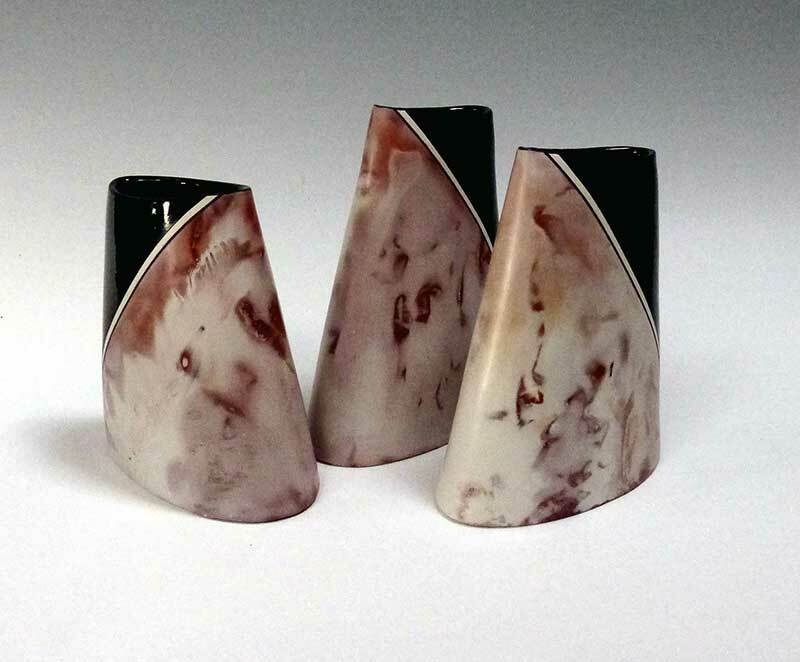 Tanya works from her studio in Lewes, East Sussex, as a ceramicist, exhibiting at major shows Internationally and within the United Kingdom. She also works to commissions and collaborates with other companies. I appropriate many historical references such as textiles, paintings, texts and people often informing whole bodies of new work some of which are interventions into particular places or buildings. The figures have elements of adornment and stillness in their doll-like postures They are placed in a context in which to perform, a framework of platforms, plinths, ledges and spheres, which give me surfaces to build on using silk-screening, press molding, transfer prints and glazes. 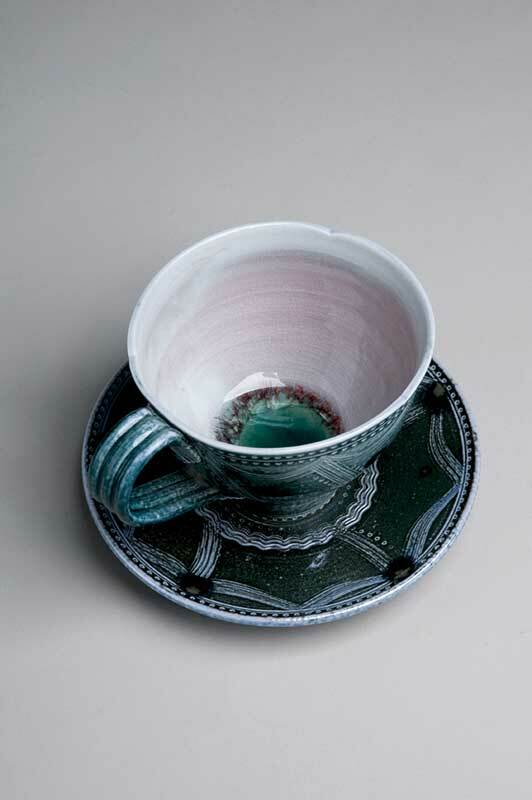 The pieces are exquisitely decorated with rich colours, patterns and strangely textured glazes. 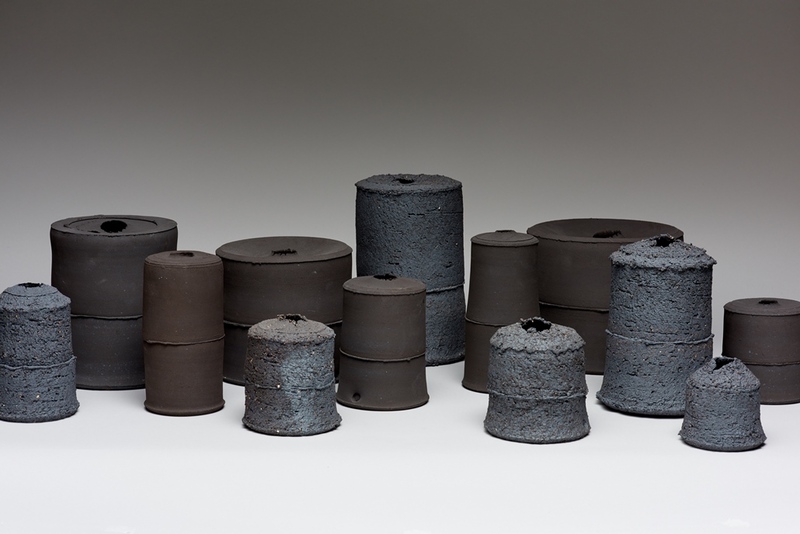 My work is about the clay; its pliable, immediate qualities. Like a photograph capturing a ‘frozen moment’ this material when fired fixes forever a gesture, an impression. I work in both Parian porcelain and (separately) heavily grogged stoneware (with body stains and oxides added). 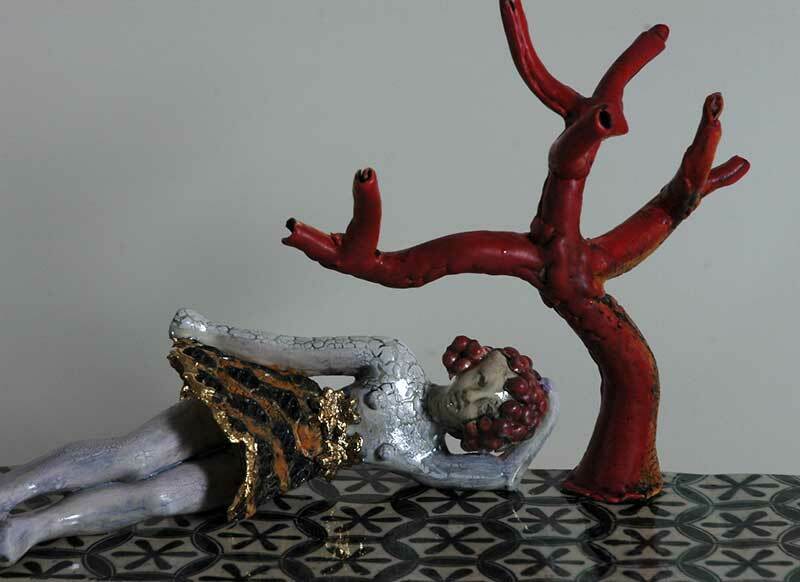 I enjoy subverting porcelain’s historic connotations of delicacy and fragility by working with solid forms. Indeed all my work is solid and the marks are created by impressing found objects, their origins occasionally hinted at. 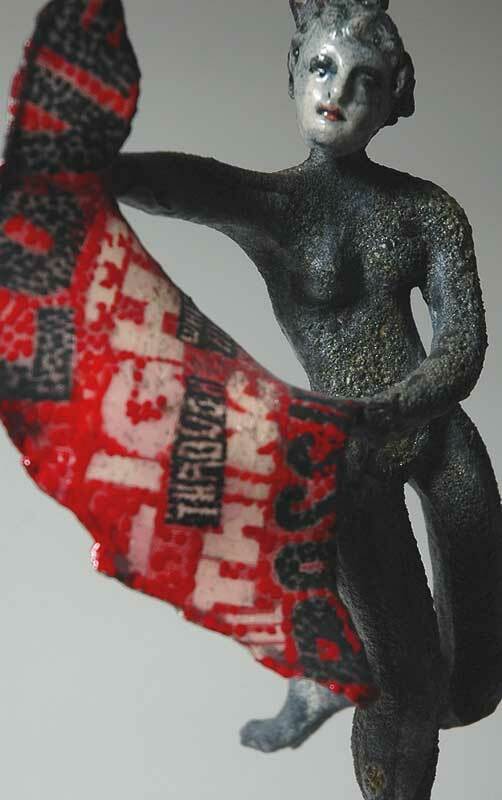 How the light interacts with a piece is an important factor in the presentation of the work. 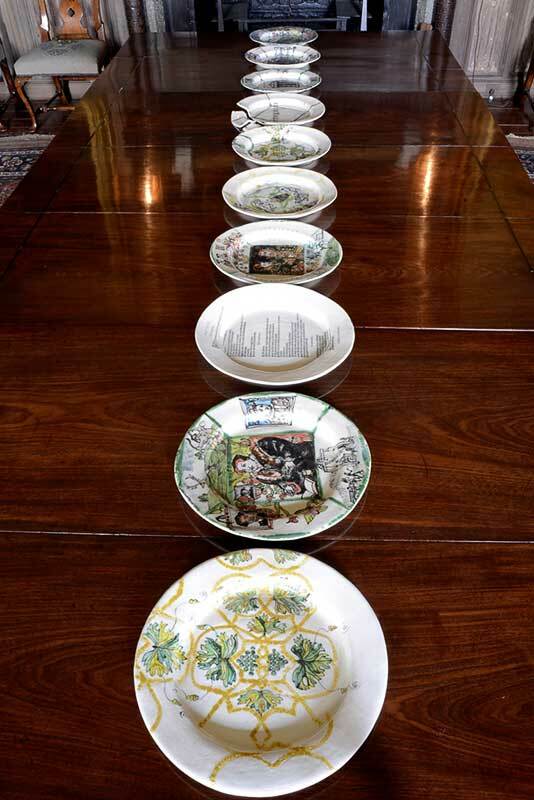 Working in stoneware enables me to work larger and in a more architectural manner. These forms allude to the built environment but deliberately avoid explicit references. In pushing the material to its limits my wish is to explore three dimensional shapes while retaining a real sense of the qualities of clay. 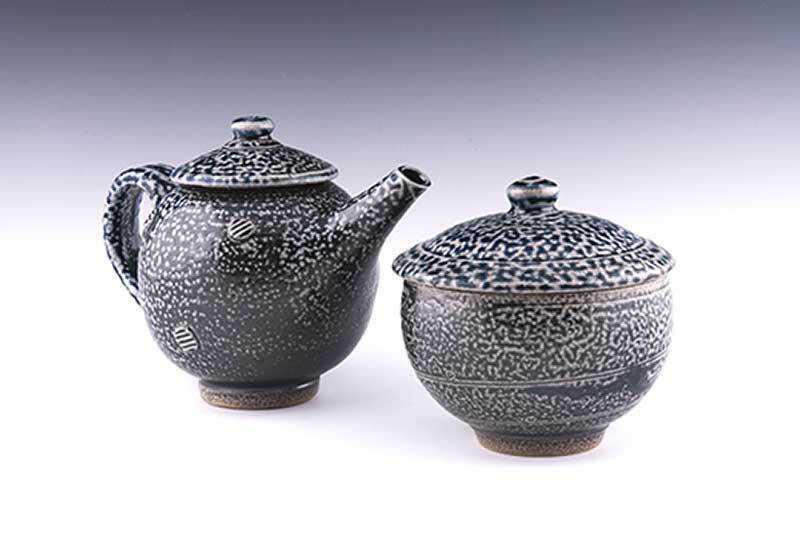 All pieces are solid, hand built and fired in an electric kiln at 1200-1285°c.